Fees associated with filing industrial design application in Denmark as well as other design fees are available in the fee calculator. The term for filing the Danish design applications claiming priority is six months from the priority date. Design application in Denmark may cover several designs provided they belong to the same class of the Locarno classification. The total term of design patent validity in Denmark is 25 years, provided it is renewed every five years. An original of Power of Attorney should be provided at the time of filing a design application in Denmark. Submission of the priority document is not required when filing a design application in Denmark; however, information about the priority application should be provided. 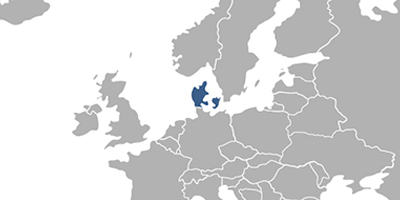 There is no substantive examination procedure stipulated for design applications in Denmark. A 12 months novelty grace period is stipulated before filing an application. There are no official issuance fees to pay. The first renewal fees must be paid within five years from the application date. For foreigners, it is necessary to perform an industrial design prosecution in Denmark through a local agent, a registered Danish trademark attorney. 1. Online Search databases: Danish Designs, Community Designs (EUIPO), International Designs. 2. The Industrial design protection in Denmark may also be obtained via Community Design registration.